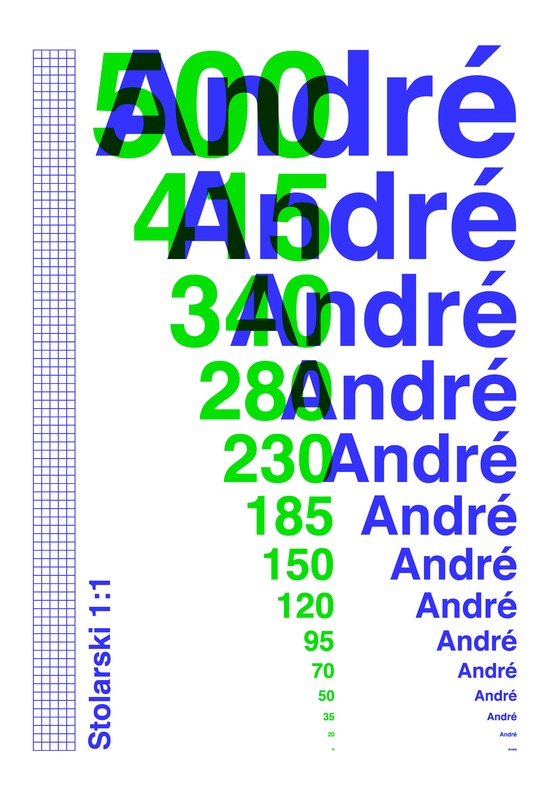 The poster is a personal homage to the Brazilian designer André Stolarski. His first name is printed in different font sizes, indicated by the green numbers. The ruler in centimetres helps the observer in assessing the real dimensions of the characters. In this sense, the poster works as a practical tool to help the designer in its daily tasks of choosing typesizes and evaluating text legibility. The poster size is 66 x 96 cm and was printed on silk screen in dark blue and neon green.